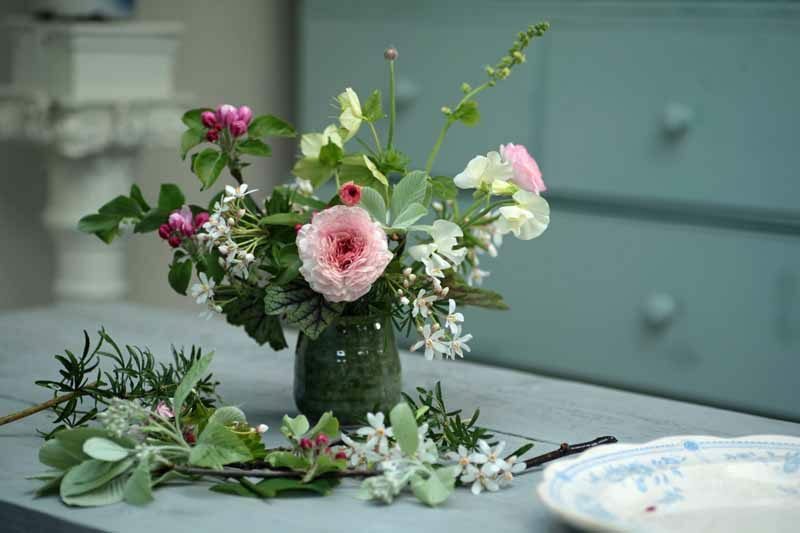 Last year was our busiest so far for workshops with almost thirty dates fully booked ranging from career courses, collaborations, growing cut flowers at home and floral design. 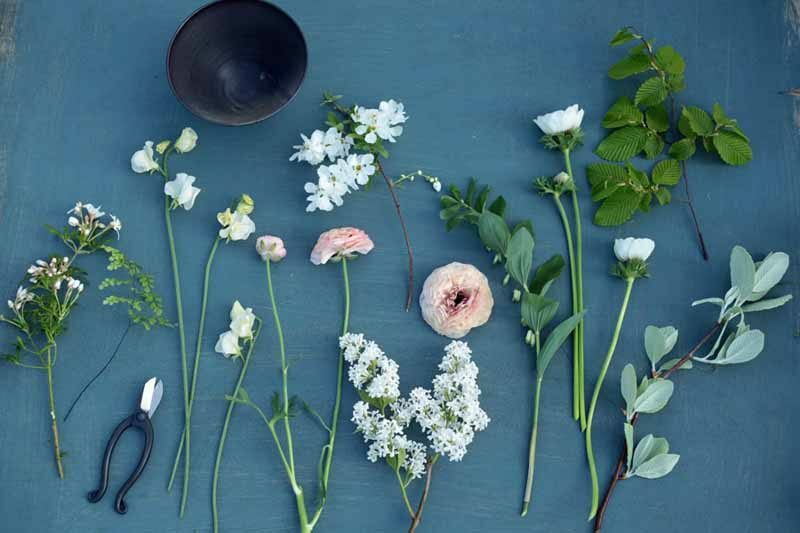 This year I am planning to add to our course repertoire with some new subjects including flower painting, a ‘perennials and woodies’ masterclass and a residential flower farming course in October – more about those in my next blog. I am also keen to bring back a few tried and tested favorites. 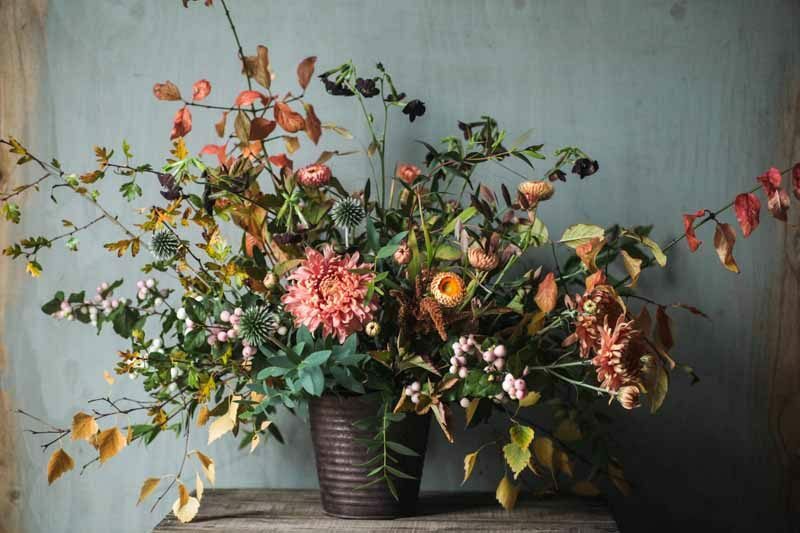 One of the most popular newbie’s of 2017 was ‘It’s All in the Vase’, I came up with the idea for this full day of floristry after working on my book in which I focused on natural style floral designs in about thirty different vessels. Over the past ten years of working with garden flowers I have come to the conclusion that the choice of the container is equally as important as the selection of flowers and foliage to go in them. I strive to enhance the seasonality, form and colour of the composition with the shape and texture of the vase/pot/jug – it doesn’t matter what you use as long as it is watertight. 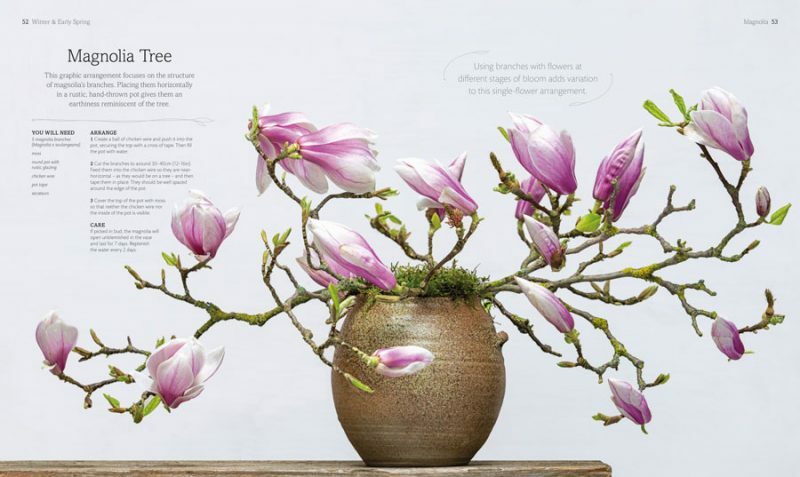 This full day of floristry focuses on this principle with three vase arrangements in a range of shapes and sizes aimed for different places in the house. Harriet Coleridge throwing a footed bowl. 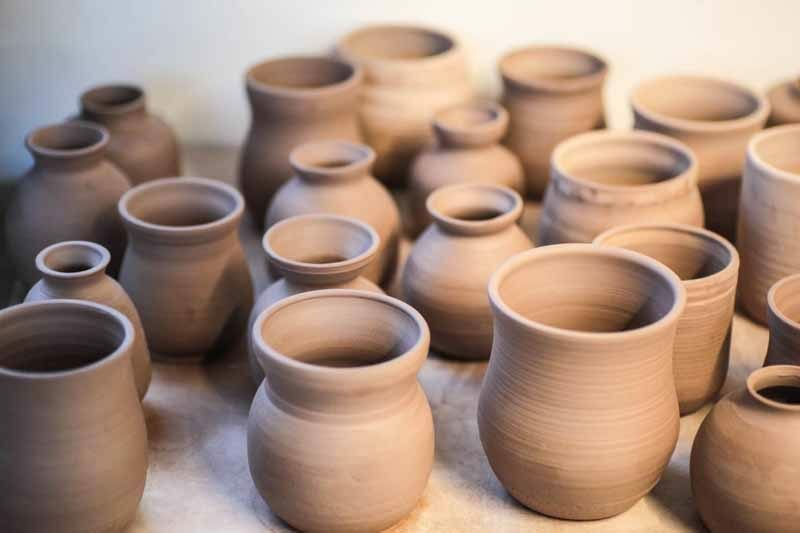 I loved preparing for this course as it meant shopping for vases and even more fun designing custom made pots which meant indulging in one my favorite crafts – pottery. 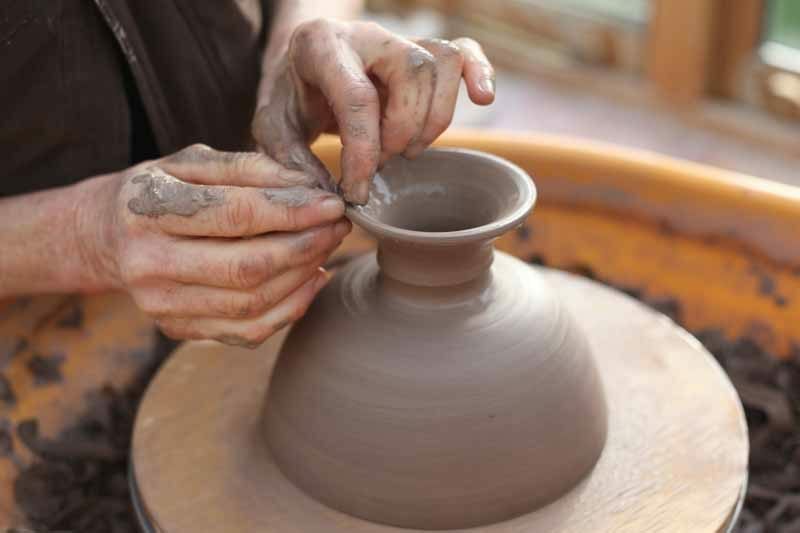 I am just a beginner who can make a pot but not one with any intentional design. For this I needed to call on the professionals – Harriet Coleridge and Joanna Oliver. Both are local potters who like to work on the wheel using stoneware but their throwing style, glazes and firing methods are very different. Together we designed a series of ‘pots’ which I felt would enhance the colour and form of the materials for each season. Vases, bowls and jugs are already being planned for 2018 and each season will include a hand thrown pot from Harriet and Joanna which is very much a collaboration of their signature style and my input to make sure it works as a vessel for the seasonal gatherings of flowers and foliage. For Spring, Harriet will be making a bowl inspired by a trip to Japan, the perfect shape for holding noodles or in this case flowers with a turned foot in a beautiful, warm, creamy shino glaze. I am also mindful of how these vases will work in people’s homes, I want then to become a go to favorite for the kitchen table or mantlepiece for years to come. I had some lovely feedback from people who attended last year’s workshops including a blog by visual storyteller Cristina Colli who attended the Spring class and recorded the day with beautiful photographs of everyone’s work. 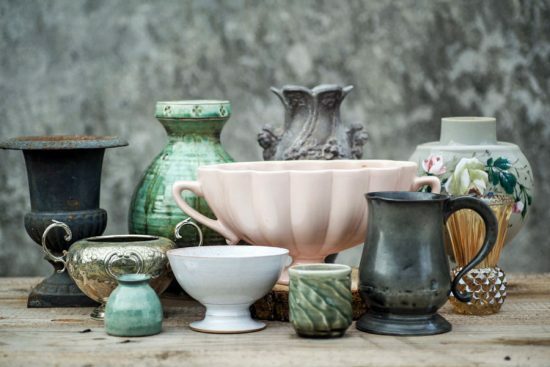 As much as I love ceramics we do include other materials include glass and metallics to reflect the different seasons and play with various sizes and shapes – here are a few of my tried and trusted favourites. There are three dates available this year, one for each season with the first spring date of April 22nd now live on the website. 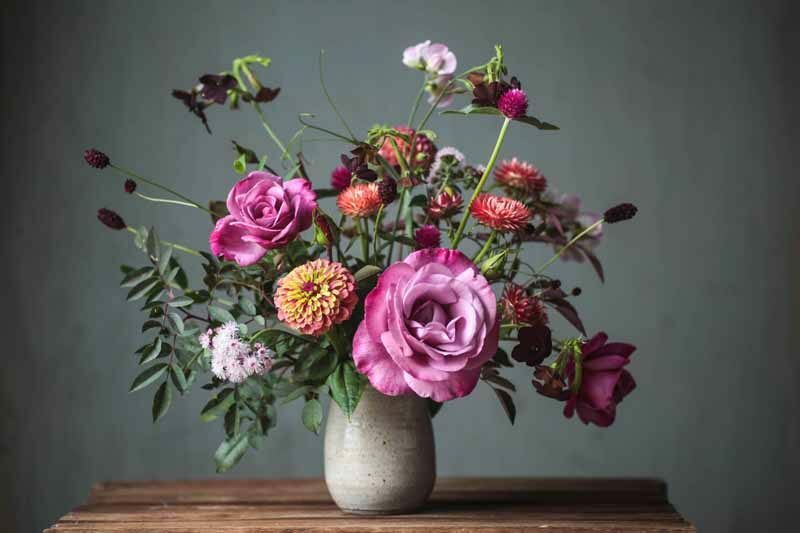 So, if you fancy a day of full floral immersion with lots of ideas on what to grow in your own gardens for cutting, techniques for arranging in a natural style without using florists foam and three beautiful, bespoke vase arrangements to take home, have a look! Rachel Siegfried on ‘Coolbot’ is certainly cool! Sophie Williamson on ‘Coolbot’ is certainly cool! ADAM RAYNE on ‘Coolbot’ is certainly cool!